A fresh WHQL-certified Catalyst suite should be landing sometime over the next week or two, but early adopters of AMD's new Llano chips can get driver support today via one of two hotfixes. Accompanying Llano's arrival late last week, 11.6a adds driver support for the Radeon HD 6530D and 6550D GPUs inside the A6-3600, A6-3650, A8-3800 and A8-3850 (read our review of the A8-3850 here). Before you hit the download button on 11.6a, it's worth noting that a second hotfix contains the same updates alongside some advanced bug fixes. Released today, 11.6b resolves an issue in Catalyst 11.6 that causes a blue screen of death when connecting your display to a Radeon HD graphics card via HDMI or DisplayPort. It also fixes an issue with screen flickering on idle systems as well as mouse pointer corruption. As always, AMD's hotfixes are provided "as is" with no official support from the company. In other words, proceed at your own risk: 11.6a for Windows XP 32/64-bit, 11.6a for Windows Vista/7 32/64-bit, 11.6b for Windows XP 32/64-bit, 11.6b for Windows Vista/7 32/64-bit. Although Catalyst 11.7 isn't officially available yet, a prerelease build reportedly contains some codenames for AMD's upcoming Southern Islands GPUs. Due sometime in the second half of this year (presumably under the Radeon HD 7000 branding), AMD's next-generation graphics chips will use a 28nm fabrication (down from 40nm). Catalyst 11.7 revealed the internal names of four GPU families: New Zealand, Tahiti, Thames, and Lombok. Naturally, details are slim on these parts, but 3DCenter.org offers its interpretation of the new classes. 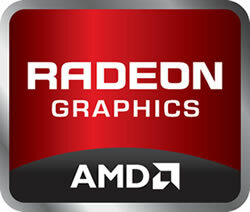 It's believed that Tahiti will be the new high-end GPU available in two versions: Tahiti Pro and Tahiti XT. New Zealand is expected to be a dual-chip solution with two Tahiti GPUs strapped to a single board. Things become less clear with Thames and Lombok. The former is believed to be a low-cost mobile chip with three variants: Thames LE, Thames Pro and Thames XT/GL. Assuming that's accurate, then the latter is probably AMD's mainstream/performance part. It's expected to come in at least three flavors: Lombok Pro, Lombok XT, and Lombok XL.